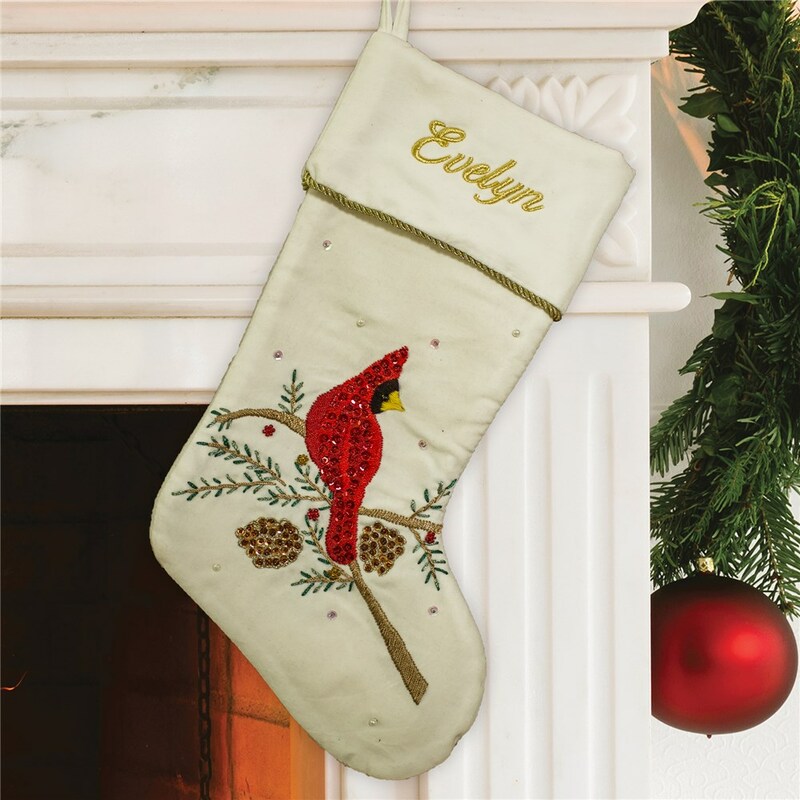 Our Embroidered Velvet Sequin Cardinal Stocking will add a special old-fashioned flair to your holiday decor this year! We will custom embroider these lovely Personalized Velvet Christmas Stockings with any name in gold threading. It's traditional and unique, making this is a personalized Christmas stocking certain to be a family favorite forever.